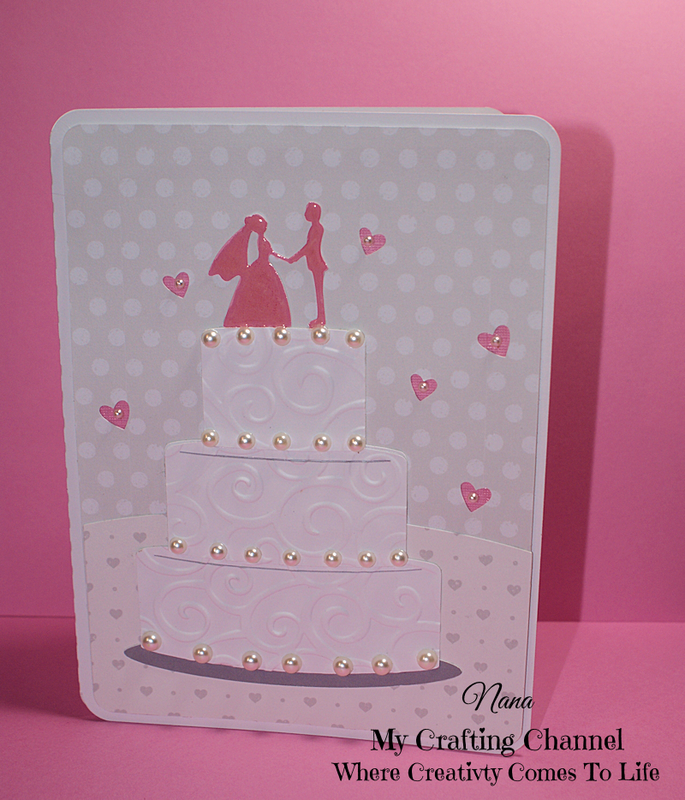 My Crafting Channel: Silhouette Challenges: Ch# 27 (Anything Goes) "Wedding Card"
Silhouette Challenges: Ch# 27 (Anything Goes) "Wedding Card"
I'm back this morning with a second post. PLEASE take a few minutes and check out my first post HERE. 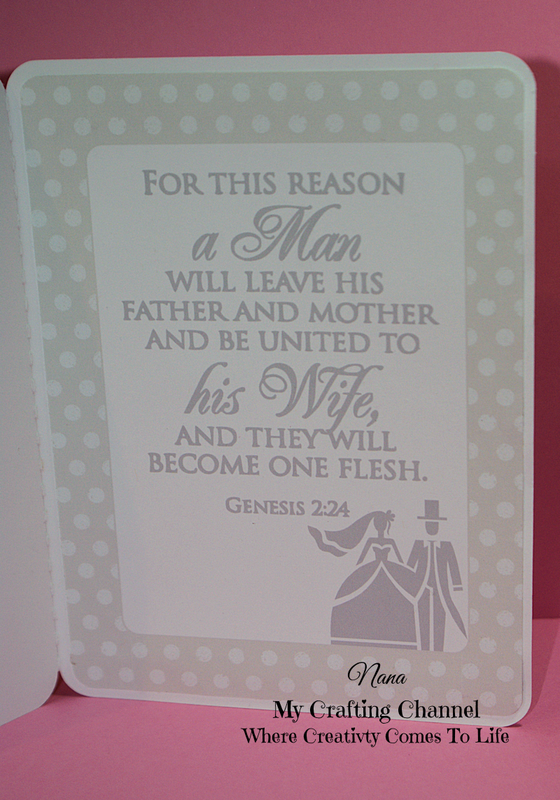 For this challenge I created this wedding card for our niece and soon to be hubby. What a GORGEOUS card! The embossing looks amazing and love the fun little hearts and pearls! Great job my friend! Thanks so much for linking up at PDE "Anything Goes" Linky Party! Hope to have you again! This is just beautiful!!! I love the glossy accents and pearls. I'm sure the newlyweds just loved it! Super pretty design...LOVE the embossing! What a lovely card - those pearls are such a pretty touch. I love the little pearls on the wedding cake!! Adore the wonderful quote!! Stunning & Beautiful my friend!! So pretty! Thank you for joining our “Anything Goes” Linky Party this week at Pause Dream Enjoy. Very gorgeous card and the inside of card is fabulous! Have a great day!